If you prefer professional quality in both performance and construction of cookwares, a ideal choice is here. This dense, nonporous and highly wear-resistant and fade-resistant hard-anodized pots and pans set provides extra durability and professional performance. 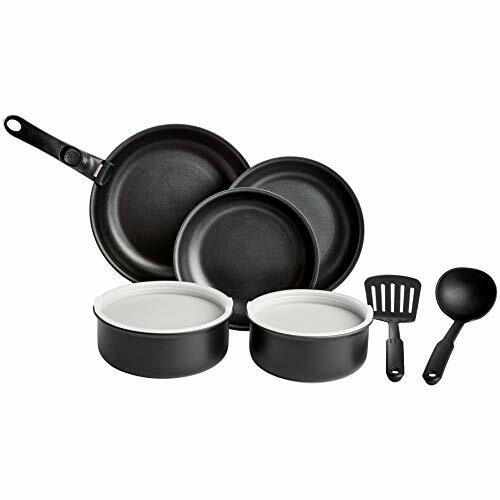 With this professional long-lasting hard anodized cookware set, enjoy its superb performances. Heavy gauge forged aluminum construction is super conductive for even heat distribution and provides exceptional heat retention. Besides, the thick and heavy bottoms are superior dent resistant. 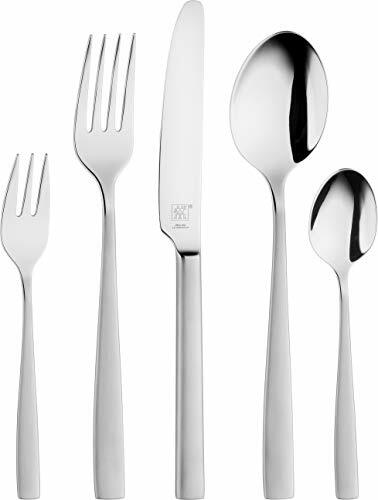 Ergonomically designed riveted stainless steel handles offer comfort grip. Handles are dual-riveted for durability and stability. NOTE: Handles may be hot during persistent heating. Use a potholder is recommended. 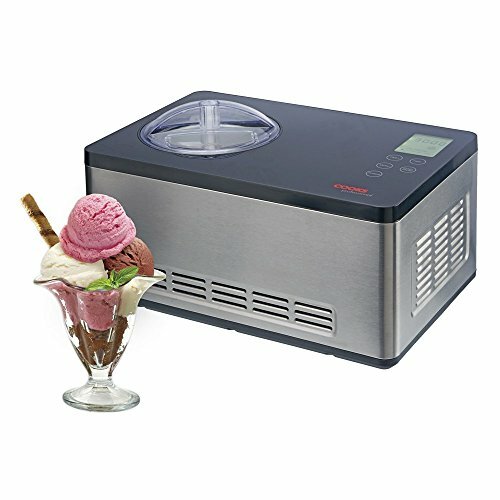 Viewing food easy from start to finish without losing heat or moisture, the clear tempered glass vented lids fit tight to seal in flavor, texture and nutrients, without wearing off the interior coating. 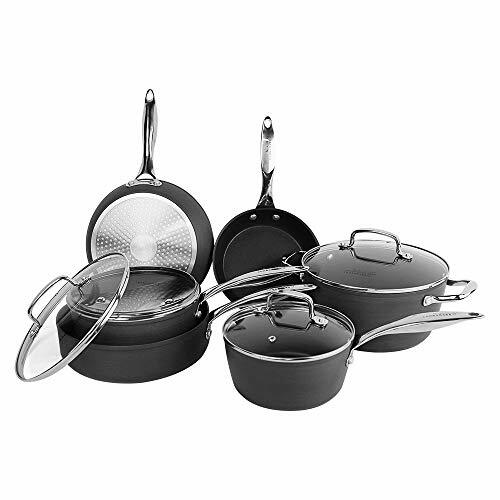 Enjoy the long-lasting durability of Hard Anodized nonstick cookware now! 【Excellent Nonstick Coating】Scratch Resistant Triple-layer Nonstick Coating- Premium nonstick coating provides effortless food release, helps you prepare healthy diet with minimal fat ,oil or butter. No residues of harmful chemicals, ideal for heavy use! 【Durable Hard-anodized Exterior】Hard Anodized is harder than stainless steel and is dense, nonporous and highly wear-resistant for extra durability and professional performance. FDA and NSF approved. 【Premium Heat Distribution】Heavy gauge forged aluminum construction for fast, even heating and warp-resistance without hot spots that ensures reliable cooking results. 【Durable Stainless Steel Handle & Tempered Glass Lids】Premium dual riveted stainless steel handles offer comfort grip. 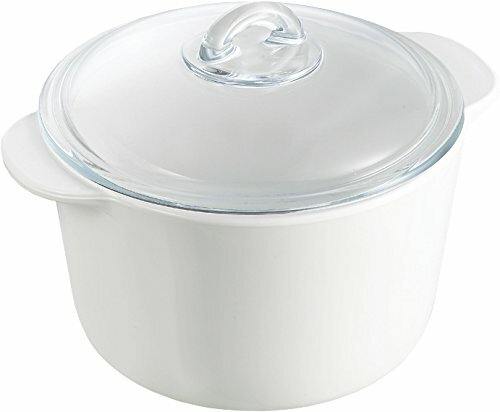 Clear tempered glass lids fit tight to lock flavor, moisture and nutrients, prevent from burns and heat loss. 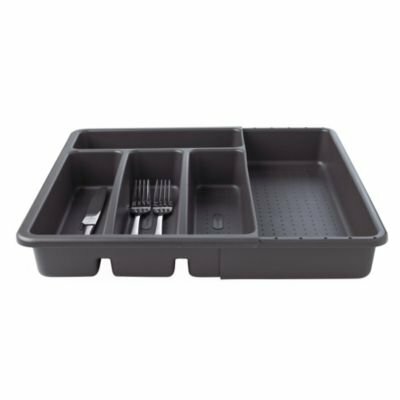 【Versatile Performance】 Easy to clean, dishwasher safe; suitable for all stove tops includes induction; oven-safe up to 450℉.